Another letter from my penpal! This is the envelope that it came in. 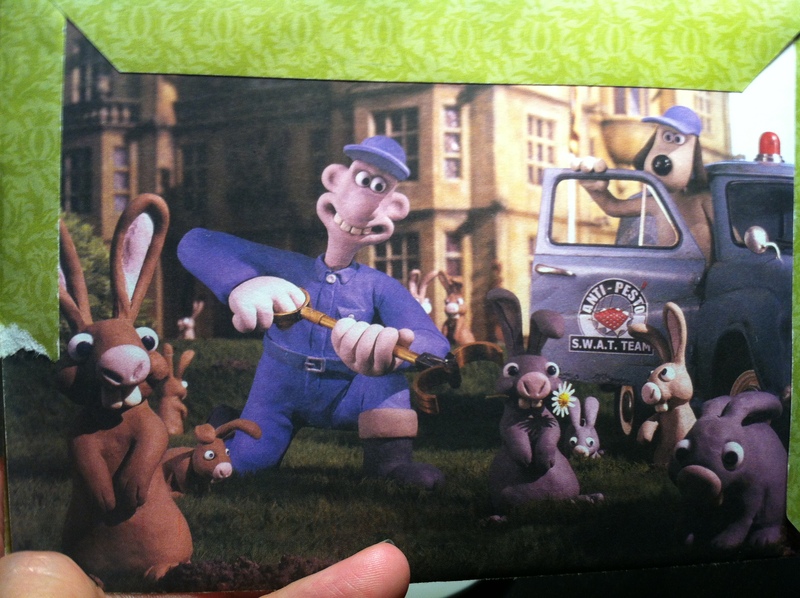 Love me some ‘Wallace and Gromit’! It was 4/20 and we went out to celebrate a friends’ birthday at a Thai restaurant. 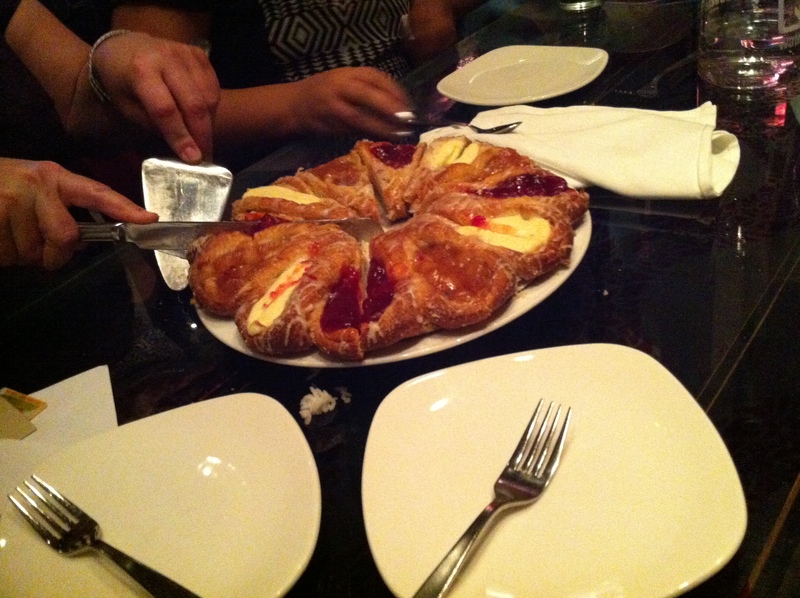 They let us bring our own cake, and someone brought this fantastic danish cake. 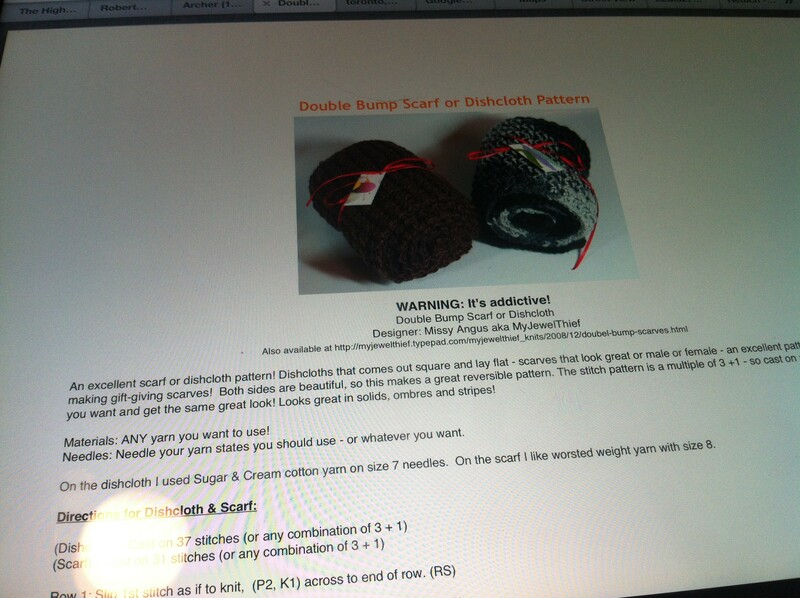 Since about November, I’ve been doing this knitted/crocheted square swap with some girls around the world. We had a few bumps to start, but it’s really interesting to be able to knit some squares, send them off, and receive some back when it’s your turn to get some in the mail. I got all of my squares but one, but it’s been a great experience, and I can’t wait to put them together. I’ve also been trying to do a different pattern for each month, and this time, I chose this one. So after attending a meetup on negotiation skills, we happened upon this cutie. 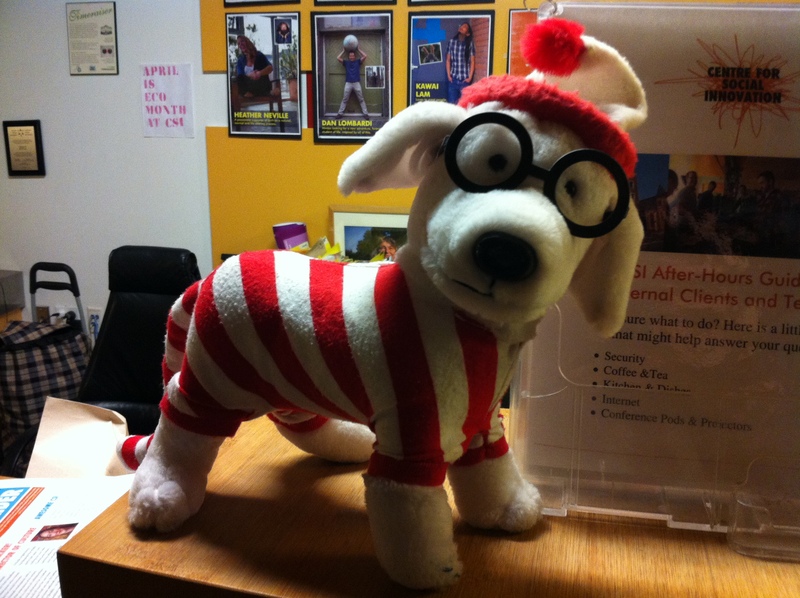 So I guess this is what Where’s Waldo’s dog would look like if he had one?…Or maybe he does have one? 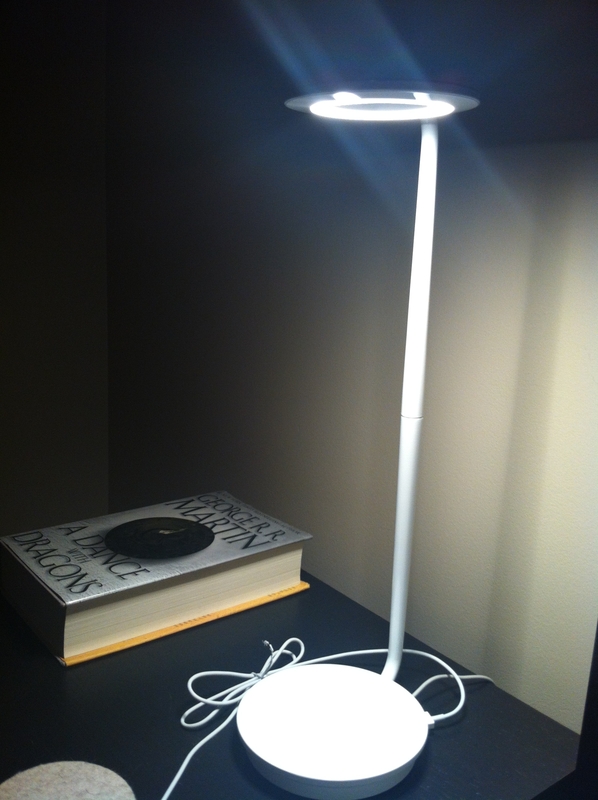 And it can recharge my phone! 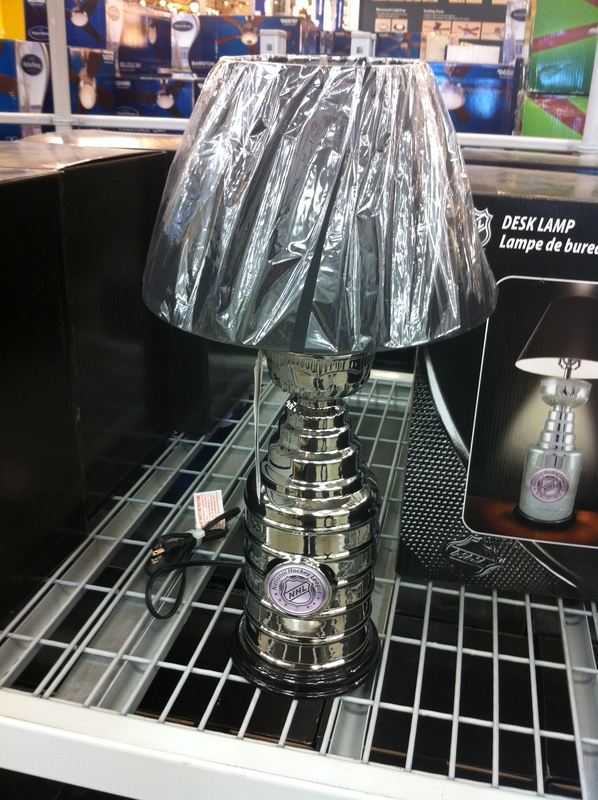 An interesting lamp for the hockey lover in your home. It’s hockey night in Canada! 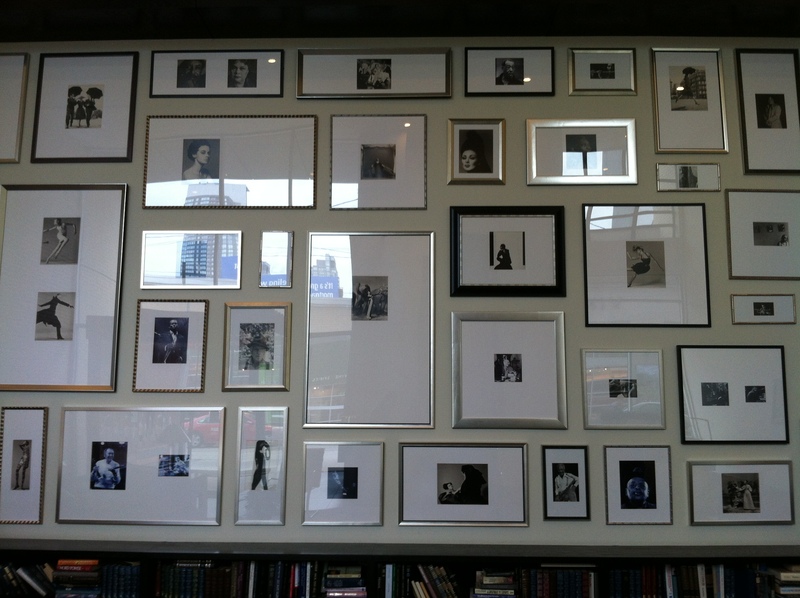 We were waiting for someone in the lobby of the Hudson, which is a condo on King St, when this huge wall of photographs caught my eye. I had seen something like this at someone’s house before (not to this scale, of course), and have since admired the artistic eye it takes to be able to put together coherent yet seemingly mismatched pictures like this. The Dude and I sometimes discuss what type of things we want to put on our walls, and I’d really like to be able to do something like this. 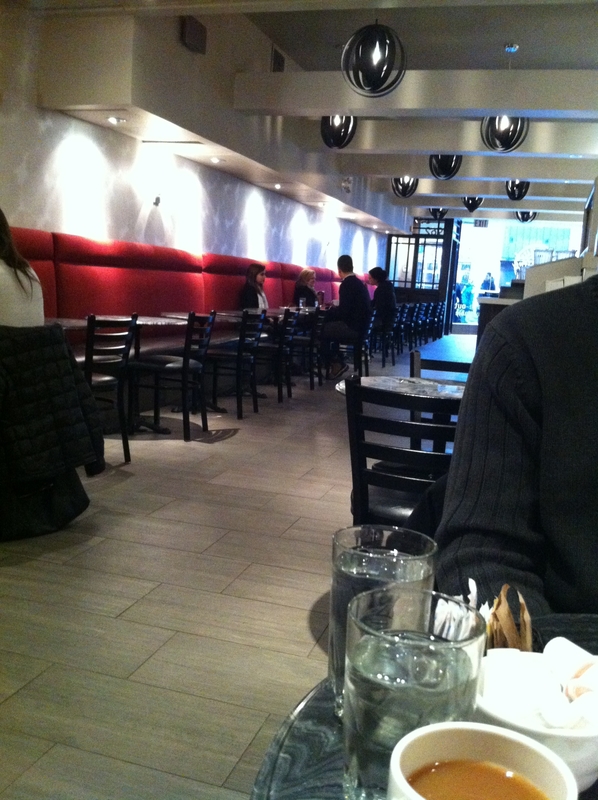 We hit up our dessert spot a bit early on Friday, so it was nice and quiet. They did a reno lately too, to freshen up the look. I think it looks good. 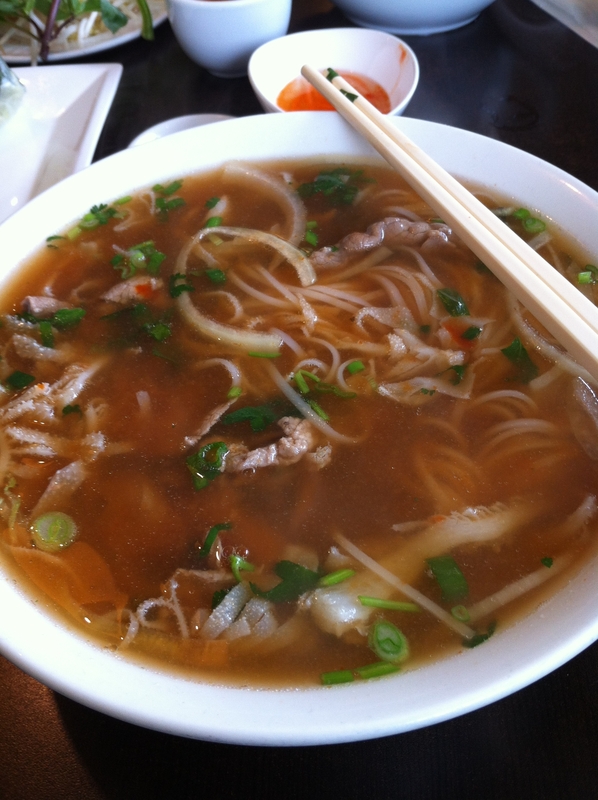 This is the first time since I started working from home that I actually when to pho for lunch on my lunch hour. Mmm…I never get tired of this. 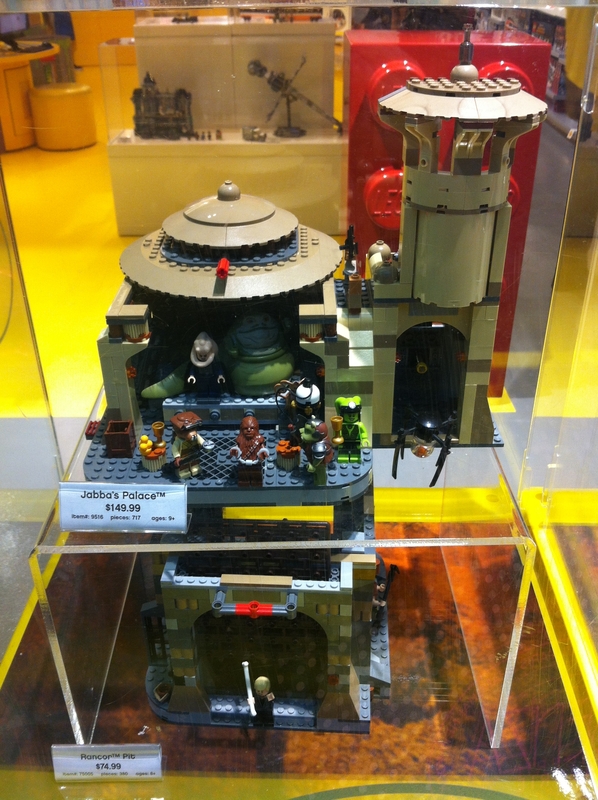 So I was going past the LEGO store and saw this: Jabba the Hutt’s palace. I thought I heard that this one was being discontinued. Where’s Leia with her metal bikini when you need her? So we seem to have ourselves a dilemna on where to go for vacation this year. On the one hand, I would love (I’ve got the planning reins for this year =)) to go back to Europe, but it can be fairly expensive. I would love to go to Japan with the Dude, but that’s also very expensive. 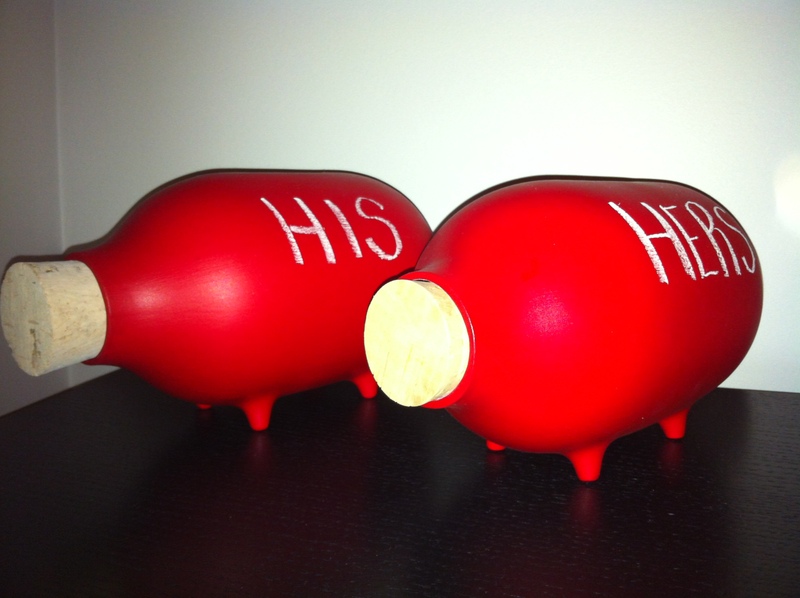 I think we’re feeling a little bit of pressure to be at least somewhat fiscally responsible, as 2 years ago, we went to Scandinavia, and last year, there was the wedding and our Hmoon. WHAT TO DO???? 1. Eastern USA. This would include New York, Boston, Washington DC, Baltimore, Georgia. 2. Western USA. Mostly California (San Diego, LA, San Fran), and perhaps Oregon and Seattle. 3. Western Canada. Vancouver, Victoria, Whistler. While heading to trivia this week, I saw some of the crew and gear for some show(?) 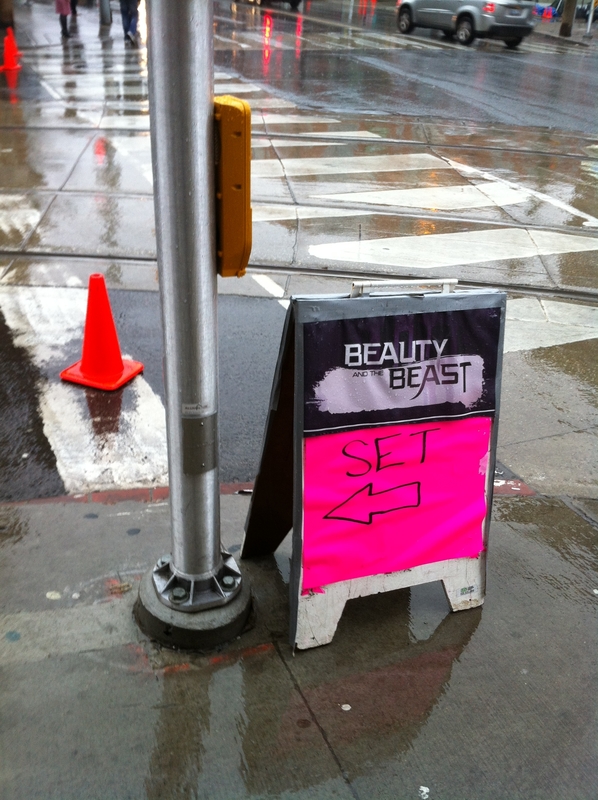 called ‘Beauty and the Beast’. Is this a remake? I think it takes place in New York City, though, as I saw NYC taxis parked on the street too. Does anyone actually know who this is? If you’re a fan of Garfield, then you might recognize this as Pooky, Garfield’s beloved stuffed bear. I always loved Garfield growing up, and was partial to Pooky because I thought that it was so endearing that he was so indifferent to pretty much everyone else, but was really attached to his stuffed toy. 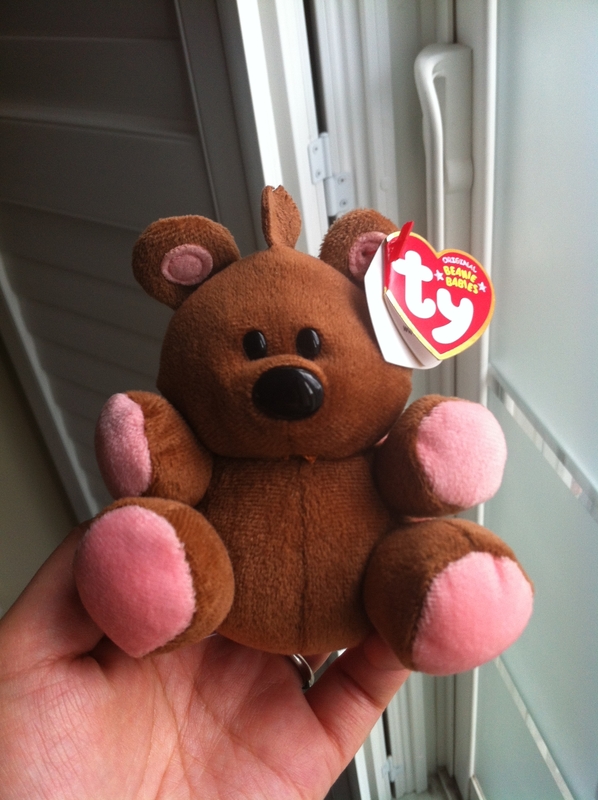 This beanie baby keychain is now one of my most beloved birthday gifts. 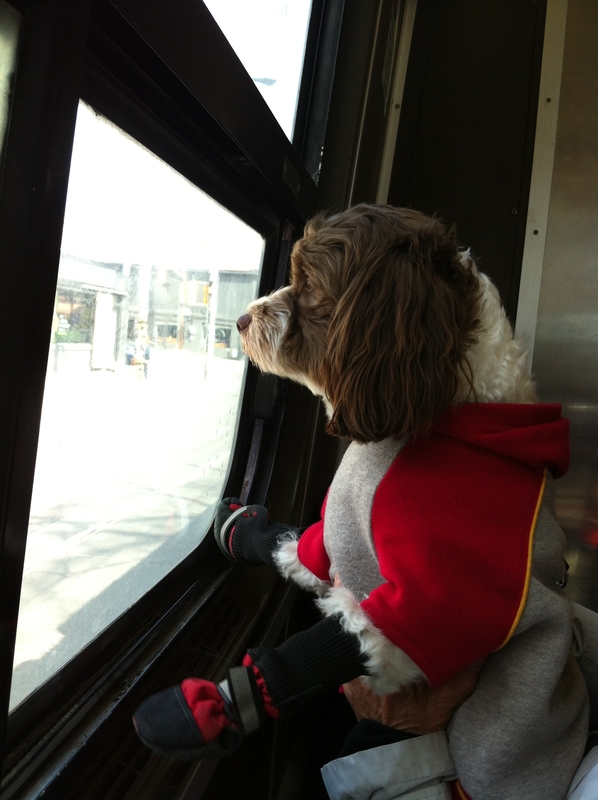 Headed downtown to meet up with some friends to knit when I saw this cutie on the streetcar. I thought it was really cute the way he was propping himself up on the ledge to look out the window. 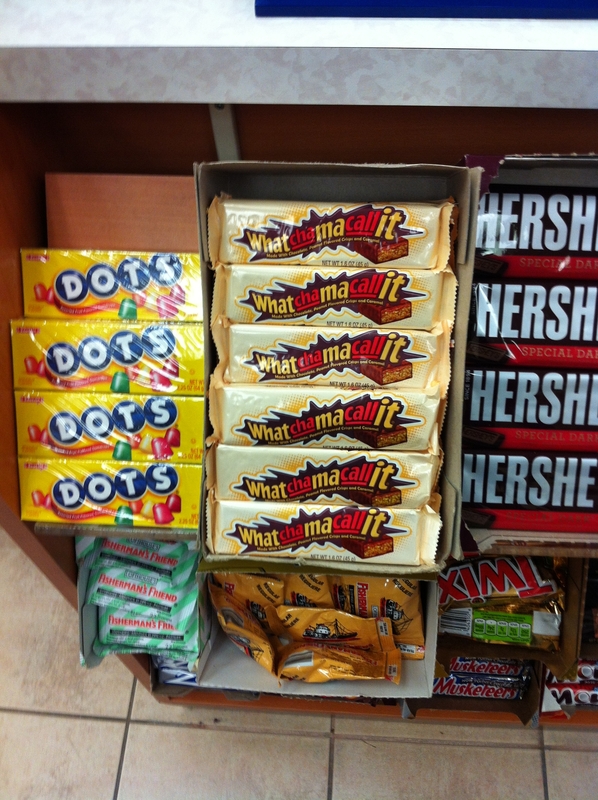 While I was waiting in line to pay for my items, this candy bar caught my eye. 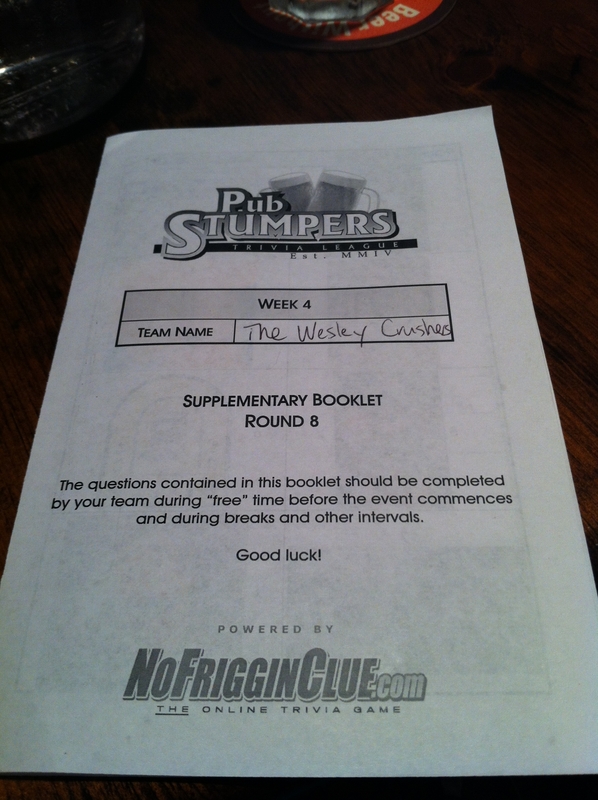 Whatchama-who? Can anyone tell me what this tastes like? I took the afternoon off work because of a spa appointment that was a belated birthday gift. On my way there, I saw this moose near the AGO (Art Gallery of Ontario). Neat stuff. 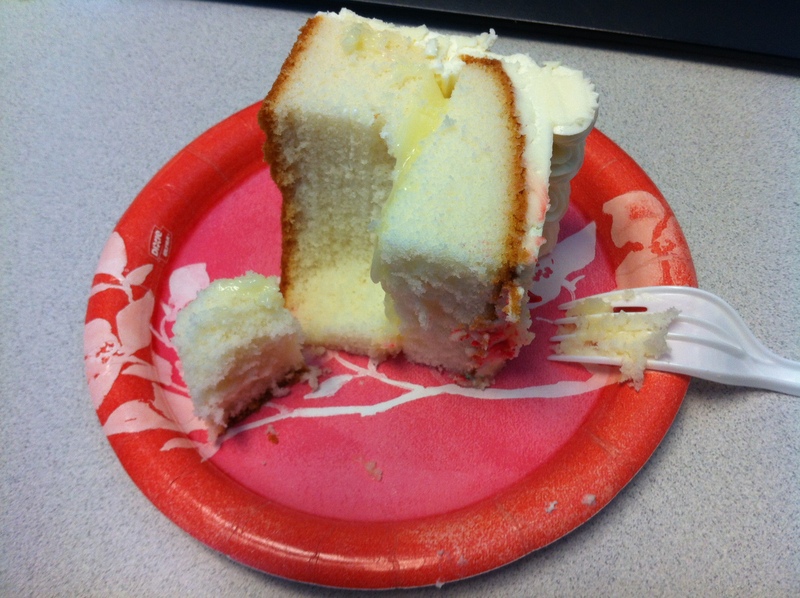 Every other month at work, our team has cake, to celebrate collective birthdays. 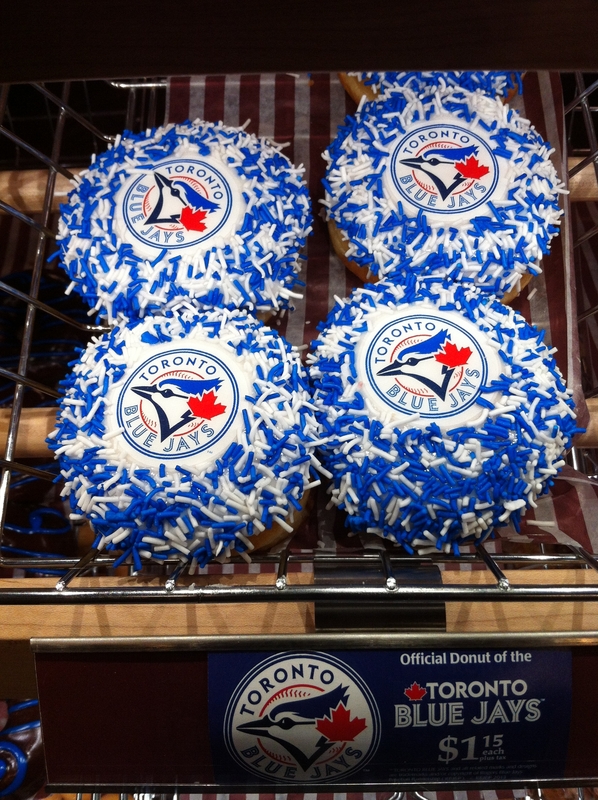 The cakes usually come from Costco, with giant icing balloons. I usually try and stick to the non-coloured icing.